Sign-up and receive Property Email Alerts of Residential Estates in Blythedale Coastal Resort, Kwadukuza. Blythedale Coastal Resort will offer a vast array of facilities and activities, enabling residents to fully enjoy the outdoor lifestyle that is synonymous with the KZN North Coast. Just an hour away from the hustle and bustle of the Durban CBD, this macro-estate is set against the backdrop of pristine beaches, unspoiled forest, rivers and estuaries and caters for all ends of the market. It is essentially five estates in one: Blythedale Hills, Equestrian, Golf, Forest and Ocean. Be it prime real estate along Celebrity Mile or the more affordable housing estates within Blythedale Coastal Resort, all residents will enjoy its prominent features. Golf enthusiast wills spend their days at the 18-hole Executive Golf Course, Clubhouse and Driving Range. Animal lovers will enjoy small game ambling past their homes and more than 200 bird species; not to mention the Equestrian Centre and 320 hectares of natural forest trails and bridleways. Sports fanatics will be at home on the tennis or squash courts, football & rugby fields, swimming in the 3 km stretch of safe beaches or testing their skills at the Sporting School of Excellence. Situated only 20 km from Ballito and an hour from Richards Bay, the Resort element of Blythedale will encompass a Resort Hotel, Boutique Hotel, Water Theme Park and an array of well-known restaurants. 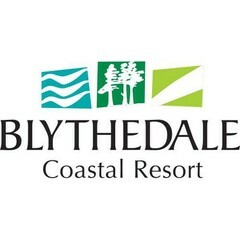 Whether you are looking for a timeshare unit or for an upmarket freestanding home, you will find it at the Blythedale Coastal Resort.